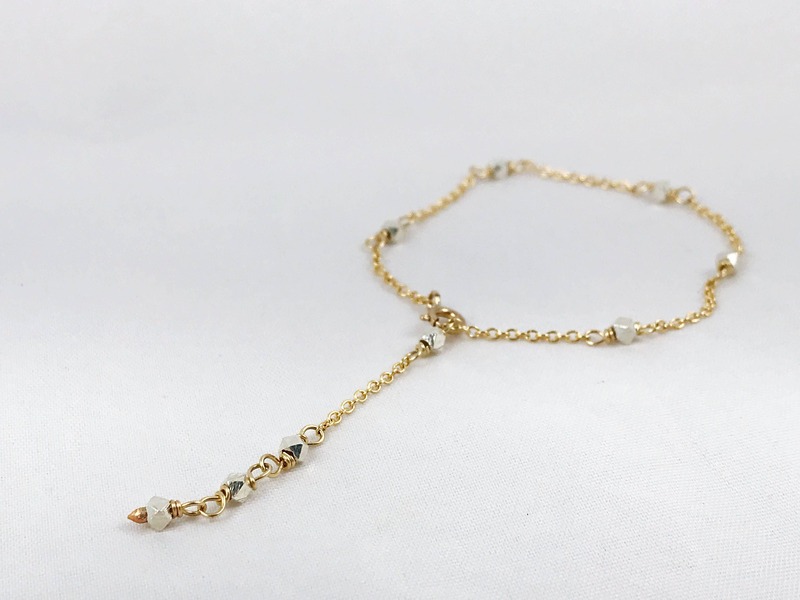 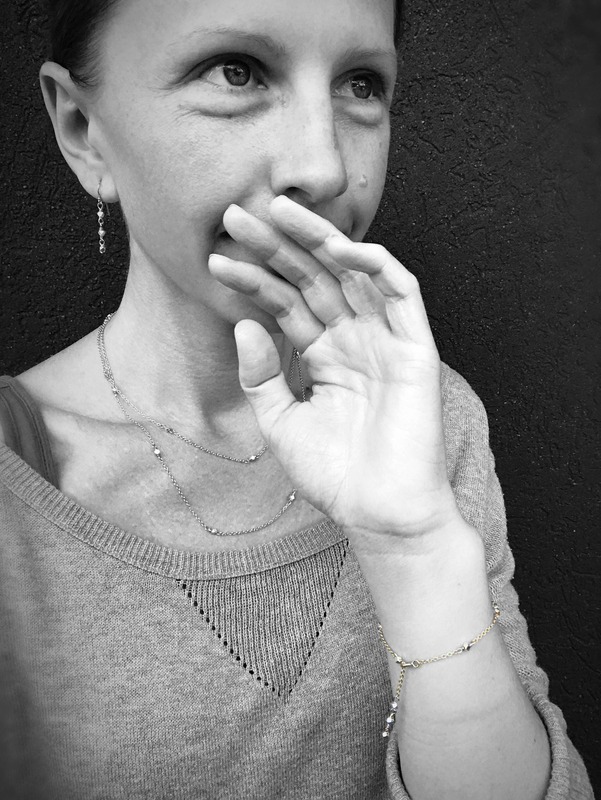 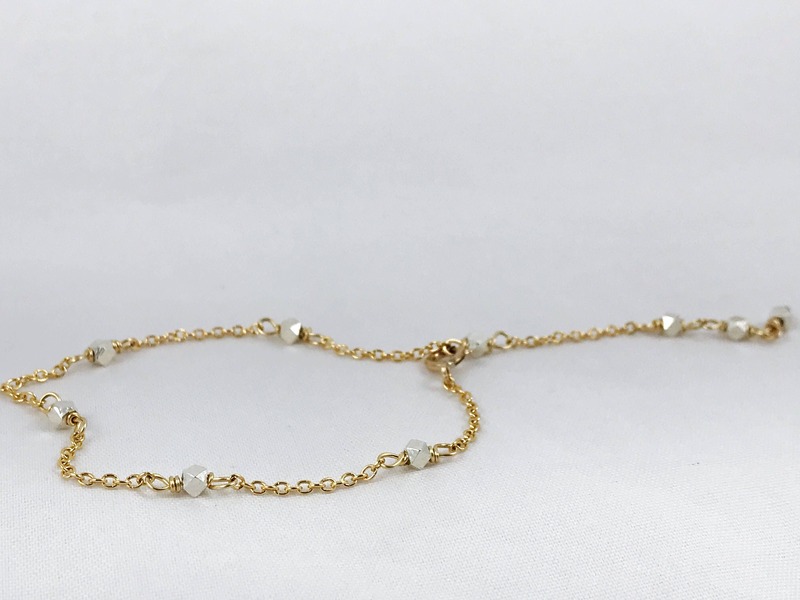 This two tone chain bracelet is modern, minimalist, pretty and so much fun to wear. 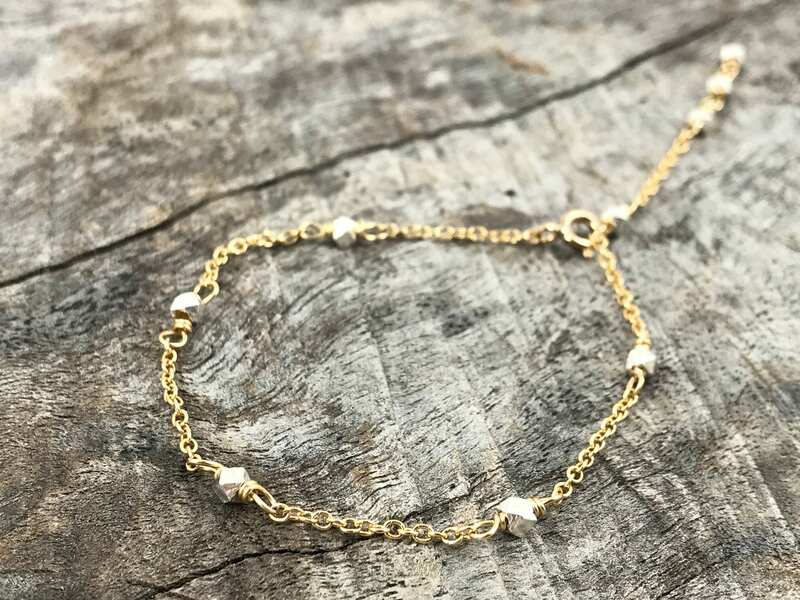 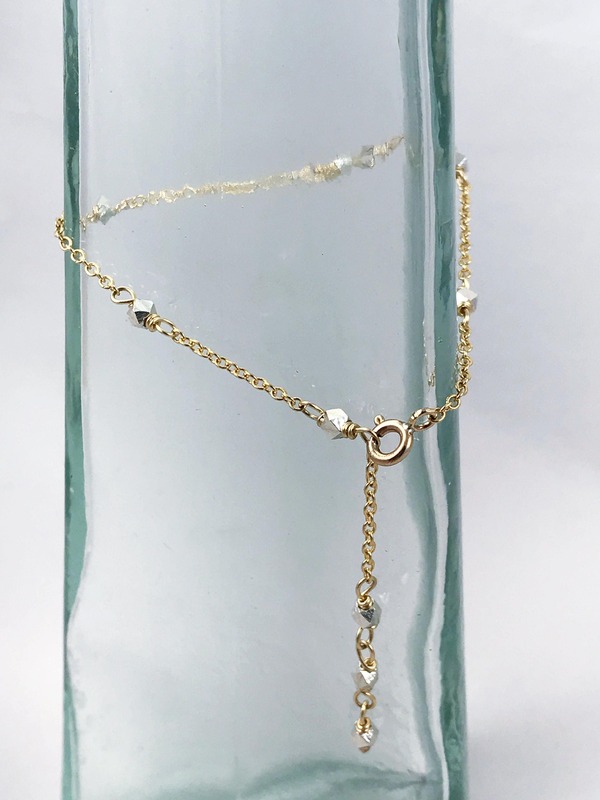 Featuring hand carved 3mm fine silver (99.9% pure silver) hexagonal nuggets and 14k yellow gold filled chain, wire loops and clasp, it moves and catches light beautifully, adjusts to fit most wrist sizes and looks amazing alone or layered with other bracelets. 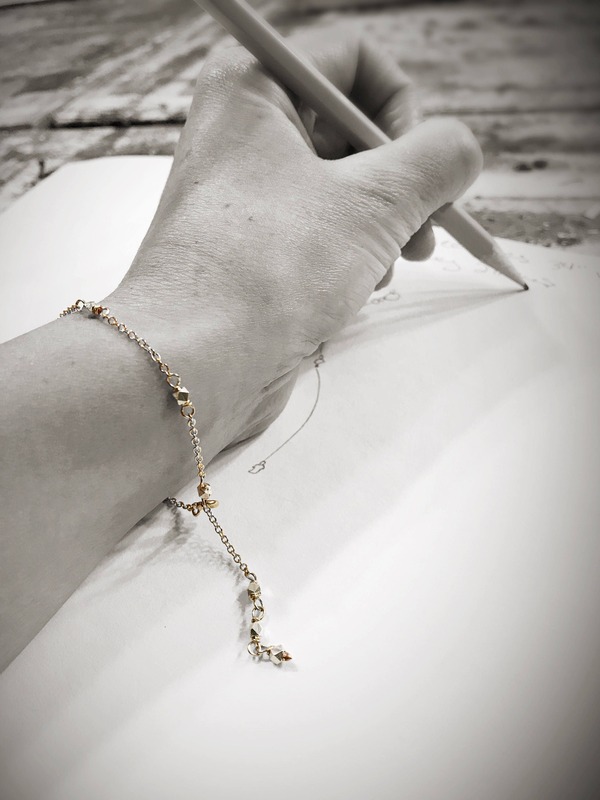 -Bracelet is 14k yellow gold filled cable chain 1.5mm in width, 14k yellow gold filled wire loops and 14k yellow gold filled spring ring clasp.